Quiz Time. 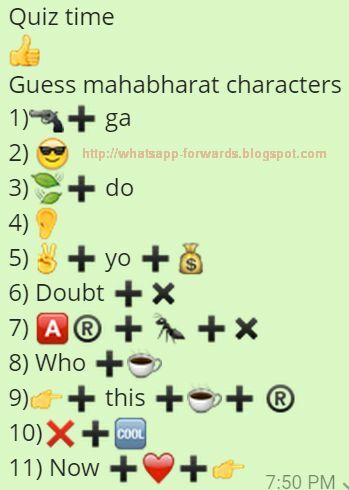 Guess Mahabharat Characters from the given Whatsapp Emoji / Emoticons / Smileys and give your answers in the comments. If you wish to share this quiz on whatsapp, Copy the Quiz from Google Plus Comment below with the Emoji.